Dome Corporation CEO Shuichi Yasuda says that the country’s universities are mostly conservative and reluctant to tackle new initiatives. On the other hand, the University of Tsukuba is trying to be a trailblazer in reforming Japanese collegiate sports. The national university announced on Thursday that it would install an athletic department formation task force on Aug. 1 as the country plans to form “the Japanese version of National Collegiate Athletic Association” within the 2018 fiscal year to oversee the country’s collegiate sports and attempt to foster a better environment. Yasuda will lead the task team project and is scheduled to become the inaugural athletic director for the department, which will legitimately begin its operation by the start of the next academic year in April 2018. Unlike in the United States, collegiate sports teams in Japan are private entities and receive little support from their respective universities. So they have to manage salaries for coaches, operating expenses and insurance on their own. 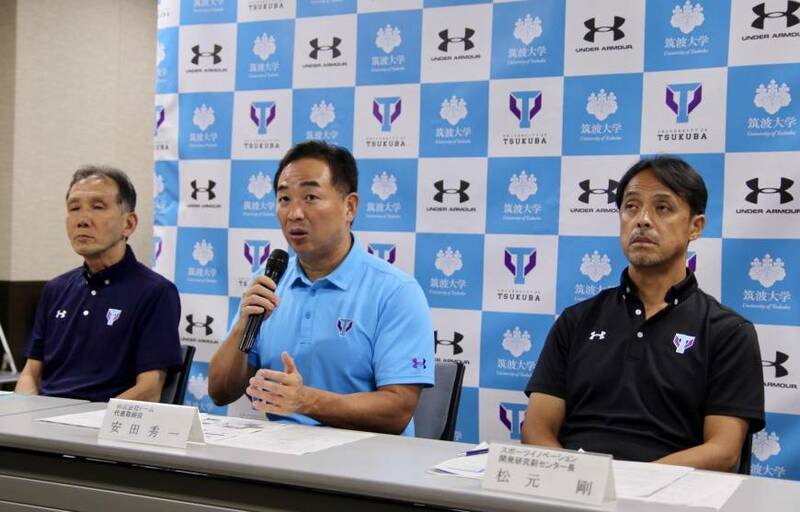 Yasuda, whose company is the general agency in Japan for Baltimore-based sporting manufacturer Under Armour, said at a news conference at the university’s Tokyo campus, that if athletic teams are legitimately recognized under the umbrella of their respective universities, it would bring transparency in both accounting and personnel. Only a handful of universities have formed athletic departments in Japan, and Tsukuba and Yasuda will try to create a successful example for the nation. The 47-year-old Yasuda said that he has observed and studied sports business and academic programs at universities in the United States for two decades. He stated that the Japanese university sports environment is “unchanged” since he was a football player at Hosei University, where he presently serves as the supervisor for the team. The government hammered out a plan last year to make Japanese university sports more viable by forming an NCAA-like entity and athletic departments at each school. Monetizing them is a priority to help run sports clubs more stably. Tsukuba president Kyosuke Nagata, who spoke remotely through a teleconference video system from the university’s main campus in Tsukuba, Ibaraki Prefecture, insisted that making money would not mean commercializing it.